PayStream Advisors did a survey of corporate back offices at the end of 2017, and found that many organizations are struggling with high volumes of both email and paper invoices – without an efficient way to capture the information into their ERP. With the plethora of invoice scanning options around this important issue, it’s easy to get confused. Even the different file formats are treated differently, so it’s a good idea to understand which technologies do what, exactly. Let’s start with the bigger picture. Suppliers output an invoice from their ERP as a digital PDF. The PDF is sent to a specific email address that uses automation and Artificial Intelligence to instantly recognize the vendor and read all of the field data. The accuracy rate of 100% is achieved because it is a direct data transfer, since digital PDFs have a data layer that can be extracted by the software. Suppliers don’t need to change any of their technical structure or pay network fees, so on-boarding is rather painless. 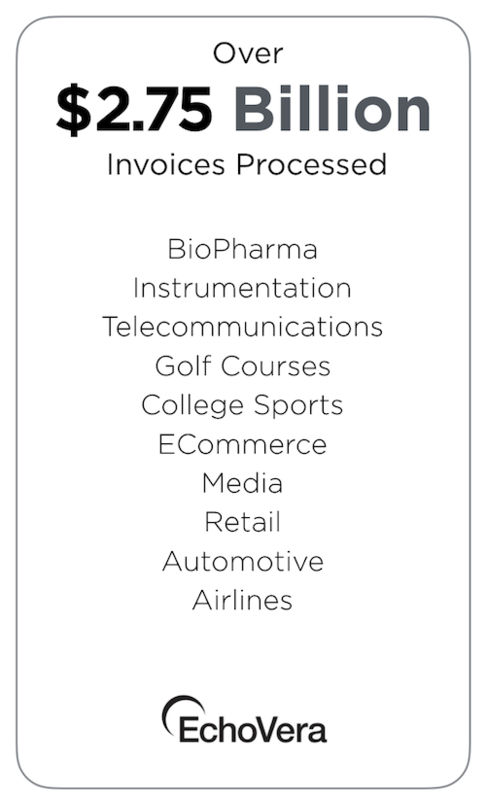 Paper invoices are scanned and advanced OCR recognizes the supplier and processes the invoice according to pre-set rules. The software intuitively knows which fields to capture and stores the information in a database. Accuracy rates are high for this method as well: around 95%. Suppliers are already sending their invoices by post, so on-boarding is unnecessary. Sometimes suppliers will send a “picture” of the invoice (also known as a scanned image) by email. This type of file is processed by advanced OCR as well, with the same accuracy rate. Suppliers enter invoice data into a supplier portal. Usually the data is manually keyed in, a time-consuming task. Low on-boarding rates (but usually good for smaller suppliers). The supplier sends an invoice in the XML or EDI format. Buyers who have an EDI system in place are happy, but suppliers have to justify the cost of installing and maintaining EDI. EDI and XML both have high accuracy rates, but the on-boarding rate is low, due to high cost. Keying in data from invoices manually, either from paper invoices or from emailed invoices that have been printed out to facilitate the process. EchoVera’s Intelligent OCR & Data Capture solution handles all the above file formats, from paper, to email, PDF, EDI, and XML very efficiently, for more information click here. Intelligent OCR integrates with over 50 popular ERPs like NetSuite and SAP Business One, read more about integration here.